Santa isn't the only one coming to town! 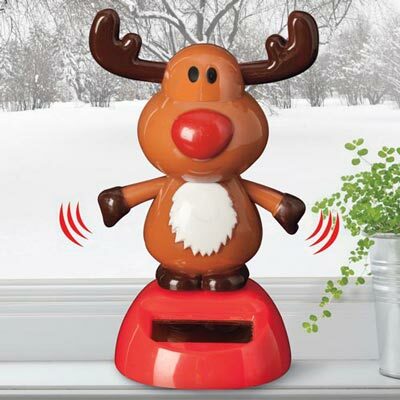 Welcome a darling reindeer powered by the sun to dance for you all day long. Hilarity ensues when this little guy starts to jiggle and jump. Makes a great ice breaker at an office party or a humourous addition to the holiday buffet table. Sure to be a favourite stocking stuffer, too! Plastic. 4½"h.